As you can read on the articles before this one, the World Campus – Japan participants went to Asuke, a small village located about 45 minutes away from the City of Toyota. There we went to pick up weeds from the rice fields for a morning to help the rice farmers. In return, the rice farmers gave us Omusubi Currency as a payment for our work. 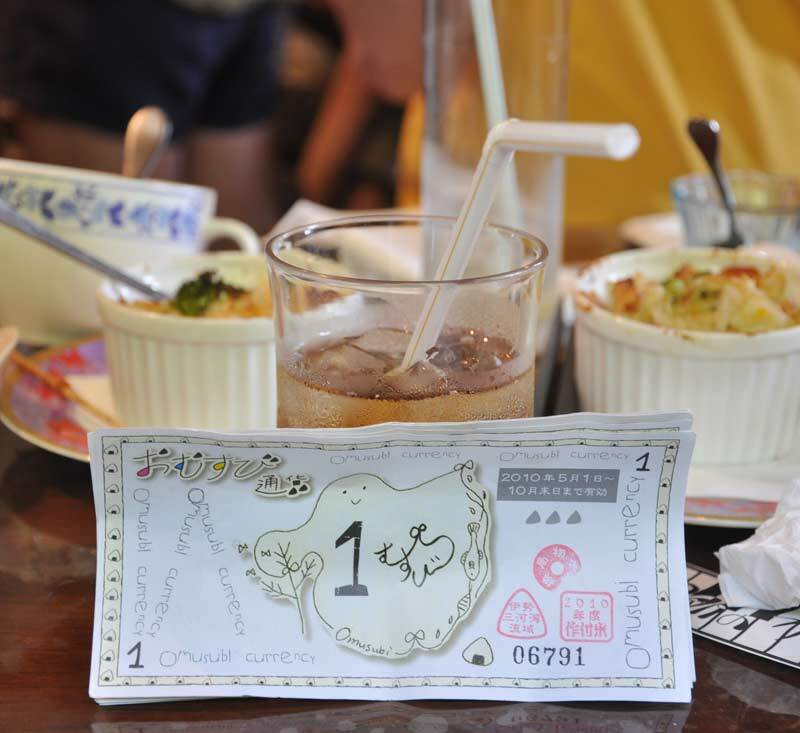 Omusubi Currency is a type of currency that was put into the rice market just a few months ago by locals from Asuke. 1 Omosubi = 75 grams of rice. It’s a little complicated, hard to understand and even harder to explain, but the main idea is to have the local people use this currency in the local stores and businesses to keep the income coming for the local rice farmers. The rice the farmers in this area grow is organic, so, no substances added to it. Which makes it better and more worth than the rice you buy at the supermarket anywhere. Usually you, as an outsider can’t get Omusubi Currency, you have to work in the area, even if is just for a temporary work, to earn Omusubi Currency, then you can use them in the area. We might agree or not with the idea of having a separate currency in a small area of the country but the locals are doing something to not only help their communities but also to make the organic rice business grow.